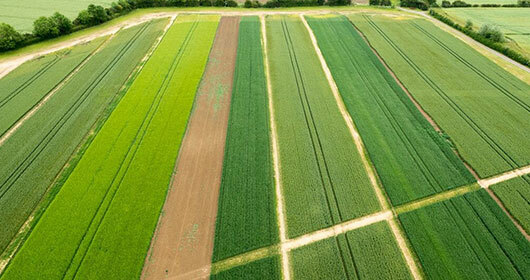 Frontier provides advice to farmers growing crops across 750,000 hectares of land in t he UK. We take an integrated approach to crop production, maximising yield whilst protecting soils and using inputs wisely. We work closely with our growers to understand their businesses and we invest in research and innovation to find solutions to the challenges they face. Frontier’s 3D thinking programme is one of the UK’s leading research programmes, with 21 sites and over 12,000 replicated trials plots. Our aim is to lead the industry ininnovation and we employ highly skilled agronomists and expert technical advisors to develop growing protocols for our customers. A key issue for many farmers is the prevalence of resistant blackgrass. Frontier’s 3D thinking trials programme is at the forefront of research into the cultural control of black-grass, in a long term project looking at rotations and establishment methods. Growers are invited to visit the site, at Staunton le Vale, throughout the season, to see firsthand the differences in the black-grass population caused by different cultivation methods, drilling dates and cropping patterns. An additional trial also considers the financial implications of not controlling black-grass and of leaving the ground fallow. For more information on Frontier's 3D thinking programme, please click here.